Stephen Wangh, Author of "An Acrobat of the Heart: A Physical Approach to Acting" and "The Heart of Teaching"
A two-week intensive that integrates two groundbreaking performance trainings – Grotowski and Viewpoints – into Boundless Improvisation, the holistic ensemble technique that includes Presence, Voice, Body, and Singing. Countless actors believe that of the many thoughts and emotions continually coursing through them, fear is the one thing they must hide. The result is that they use a great deal of energy trying not to feel what they are feeling, and so this energy is not available for the acting work. But if, instead of trying to hide this fear, actors allow themselves to feel it and permit that energy to inhabit their bodies, they find that is workable, that they can use it to their benefit. During the past two years, Steve has been teaching in Thailand, Australia, Hong Kong and in Jenin, in the Occupied Territories of Palestine. An Acrobat of the Heart is becoming a video! 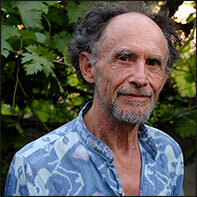 Stephen Wangh, has been a playwright, director, and teacher of acting. He is the author of An Acrobat of the Heart, a physical approach to acting inspired by the work of Jerzy Grotowski (Vintage, Random House, 2000) and of The Heart of Teaching: Empowering Students in the Performing Arts (Routledge, 2012). He is the author of 15 plays, and was one of the writers of The People’s Temple (Glickman award: Best play in the Bay Area, 2005). He was Associate Writer for The Laramie Project (Emmy nomination 2002), and dramaturg of Moisés Kaufman’s Gross Indecency, the three trials of Oscar Wilde (1997). Stephen now teaches the Acrobatics of the Heart immersive summer training for performers. And he leads seminars and workshops on the Inner Dynamics of Teaching for teachers of the performing arts. Watch excerpts from a talk at New York University's Experimental Theatre Wing. This site, and all its contents, are Copyright © by Stephen Wangh. All rights reserved.